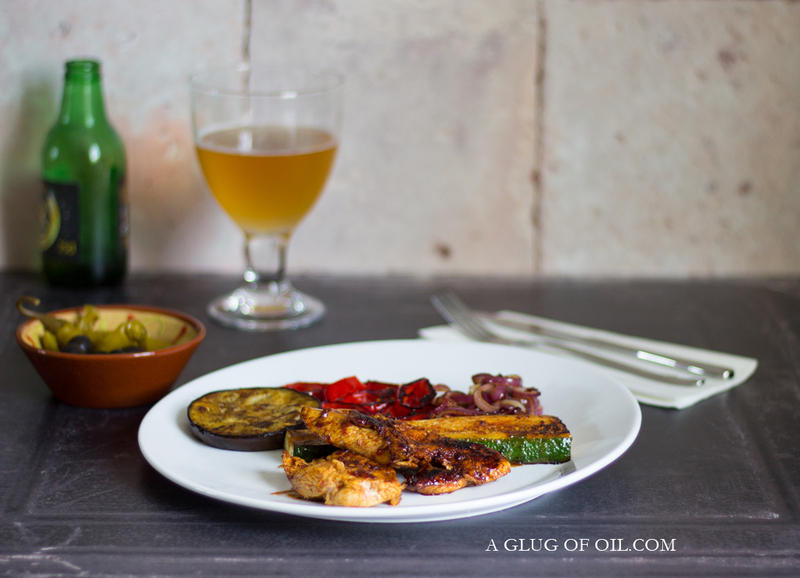 Keep reading for my delicious marinade to make Chilli, Honey and Lemon Chicken. Yes I know we have the perfect weather for a BBQ at the moment but sometimes you can't be bothered with the hassle of charcoal briquettes and the like - not to mention the clearing up. Okay it might not be quite the same as an actual BBQ, but this table top grill is ideal for cooking up a feast and is big enough to cope for, I dunno say four people. Keen to give it a go I thought I'd try cooking some lovely Mediterranean veggies and chicken; you need a hot grill to get a lovely colour so I put it to the test. Controllable heat temperatures from 120 to 240C makes it suitable for a range of foods - I've even made cheese and onion toasties on it and it's ideal for feeding a lot of hungry people at once. Just butter the bread on the outside of each sandwich and set the grill to MAX and you're on the way to cheese toastie heaven! 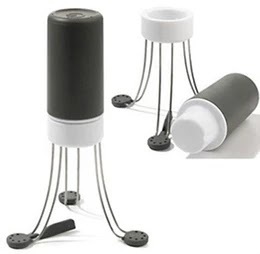 Plus you can even use it as a hot plate to keep food warm. 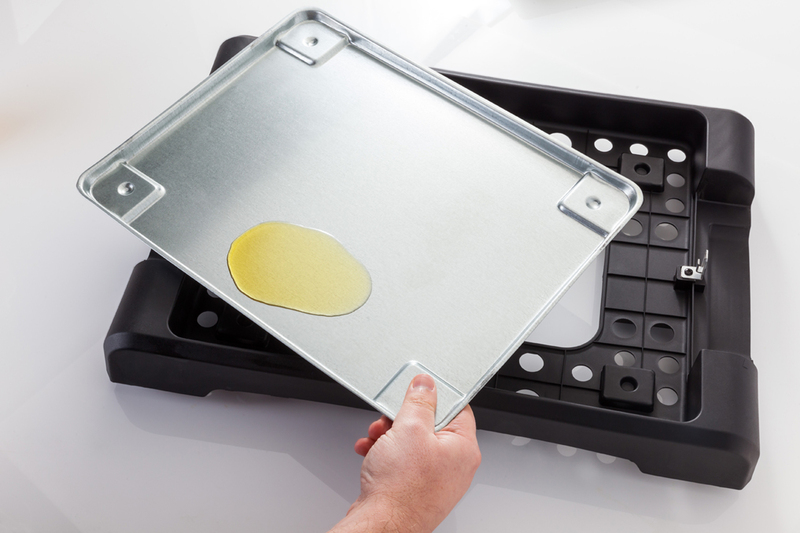 Cooking on it is healthier than say using a frying pan as any residual oil drains away into a removable collecting plate underneath the grill. Suitable for indoor and open-air use and is easy to transport. Wipe away any oil from the collecting plate with kitchen paper then wash in nice hot sudsy water, rinse and dry. The actual grill plate can not be submerged in water but I didn't find it too pesky to clean as it's non-stick. Just leave to cool, wipe with kitchen paper and then clean with a damp cloth; I used antibacterial spray then gave it another wipe before drying. You can make this recipe without the Judge Table Top Grill. Just use the marinade as above and cook the chicken however you usually would. It's great for pork or beef too! It is important that you don't put the chicken in the marinade for any longer than an hour. Why? Because any marinade containing lemon, lime or grapefruit etc will start to breakdown the chicken due to the acidity and it will be tough. 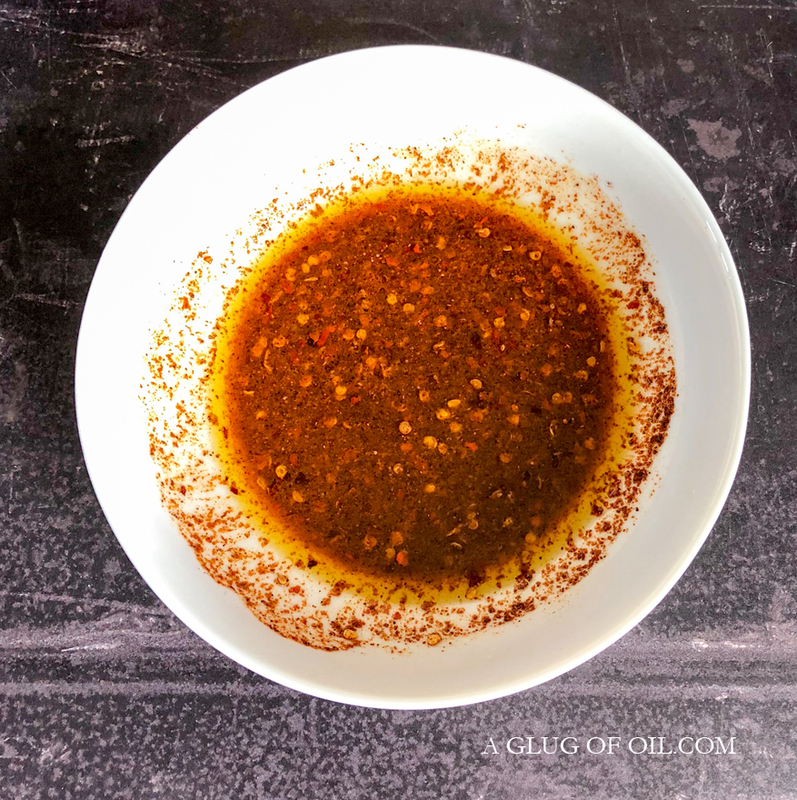 Mix all of the marinade ingredients together in a shallow bowl that's big enough to take the chicken. Now slice each chicken fillets into 2 or 4 whatever takes your fancy, then place between two sheets of cling film (do just tow at a time) and bash with something suitably bashable - don't go too mad or you'll tear the chicken to shreds! Bash a few times until each piece is thinner. Then put the chicken into the marinade and stir to coat well and leave covered in the fridge. Remove from the fridge 10 minutes before you start to cook. 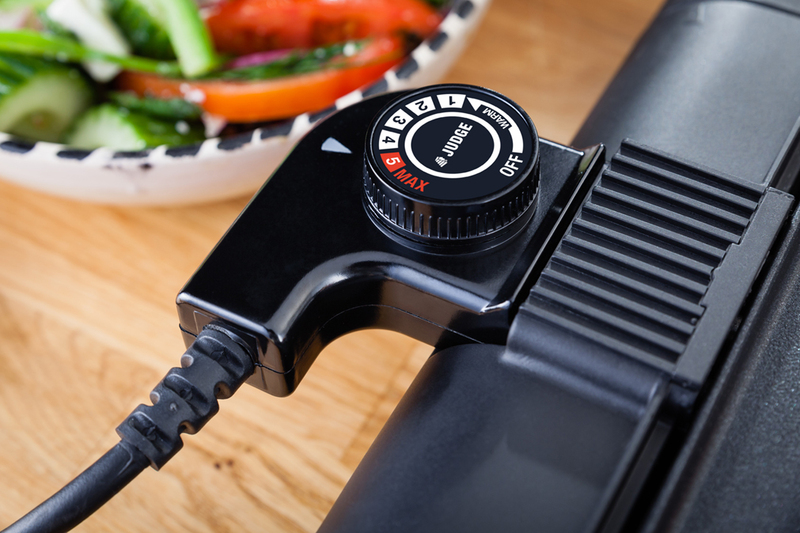 With the Judge Table Top Grill set to MAX once it's hot (the temperature light will go out) and it will come back on again when you add the chicken to maintain temperature. Pop the chicken onto the grill top and cook, turning once or twice until the chicken is cooked through - approx 15 minutes. 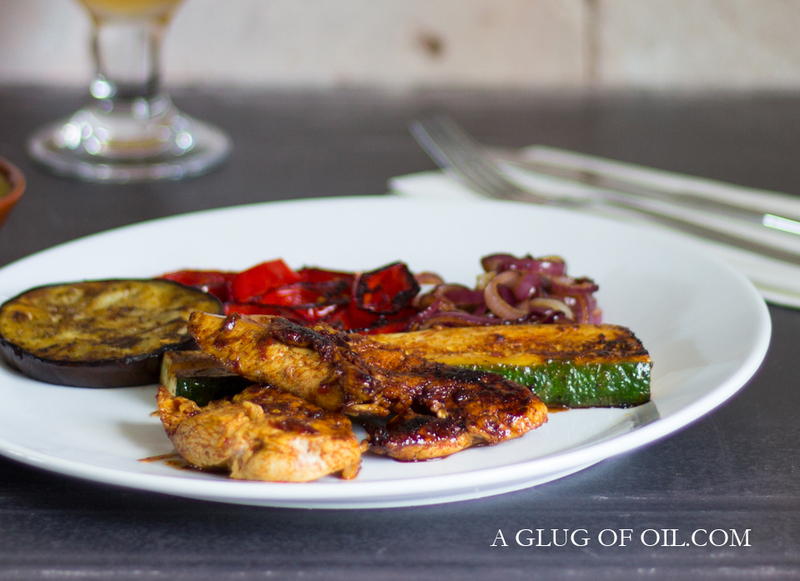 If you are cooking veggies at the same time put things like courgette and aubergine a little before the chicken. 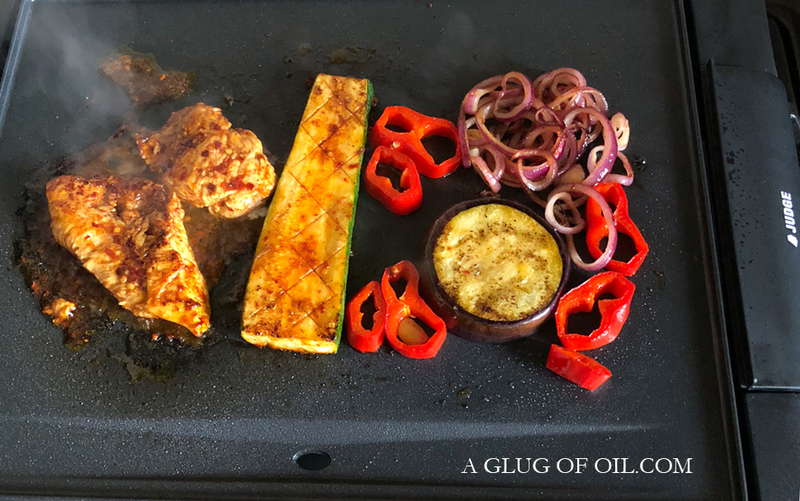 Of course you can make this recipe without the Judge Table Top Grill - just use the marinade as above and cook the chicken however you usually would. It's great for pork or beef too! 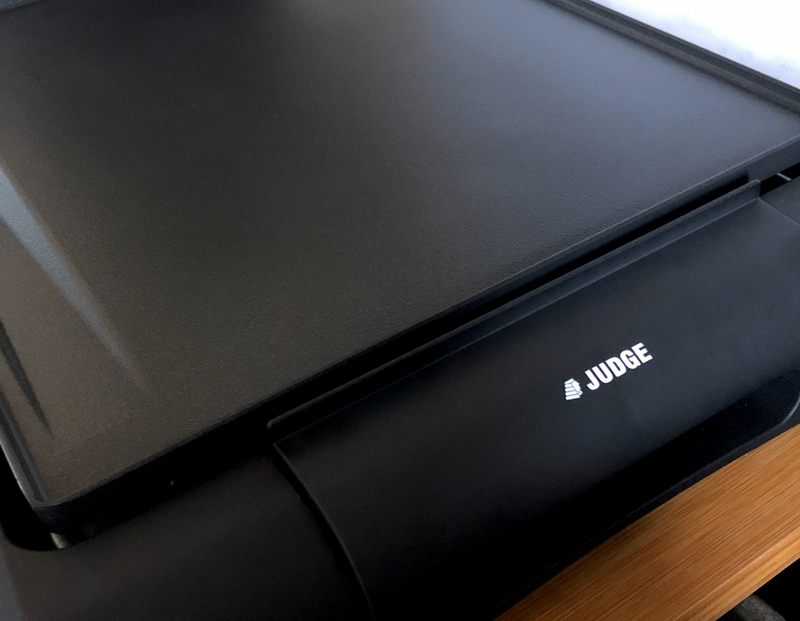 Disclosure: I was sent the Judge Table Top Grill. All thoughts and opinions are my own. As always I was not required to write anything positive.